Critical Section - Iditarod: to the Yukon, and beyond! Another day, another day of mushing for the Iditarod competitors. 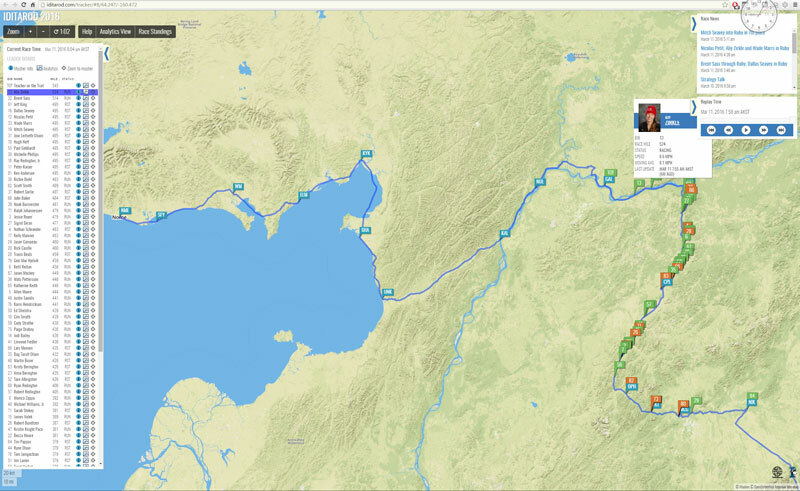 The leaders are now on the Yukon River, heading West. This marks the halfway point in the race, both in terms of mileage and mindset. Making that left turn, heading for Nome, with the Alaska Range a distant memory ... it feels like you're almost there. Of course, you still have several days left, no sleep, tired and hungry dogs, and the possibily of high winds and sheet ice on the coast, not to mention the possibility of crummy weather. Who can forget 2014 ... Jeff King was nearly to Safety, leading the race, when a sleetstorm forced him off the trail and he had to abandon. Aliy Zirkle has now taken over the lead, followed closely by Brent Sass. Dallas and Mitch Seavey are also right there, as are Noah Burmeister and Robert Sorlie. I think one of them will win, but which one? I was reading Sebastian Schnuelle's excellent posts from the trail (all of these pictures are his, by the way), and he shared this picture of 75-year-old Jim Lanier, who has now competed in five decades of the Iditarod. Wow. 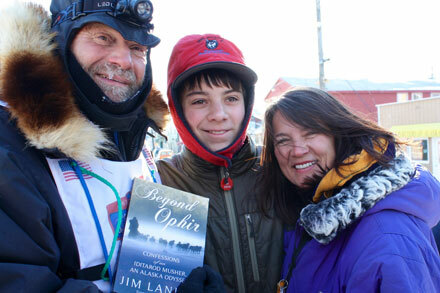 He's the author of Beyond Ophir, a perfect light read recounting all some of his adventures along the trail. Highly recommended. Next up: run/rest stats, and finish predictions! This idea by the way came from the Yukon Quest website, and the design came from Trackleaders.com. I just reimplemented it. A team I haven't mentioned much but who are very much in the hunt are Wade Mars; this is a great shot of them leaving Cripple. In reading about this year's race, it seems a key challenge for each musher is how to keep their teams from running too fast. The conditions are perfect, but this is a 1,000 mile race and you want your team fresh at the end. 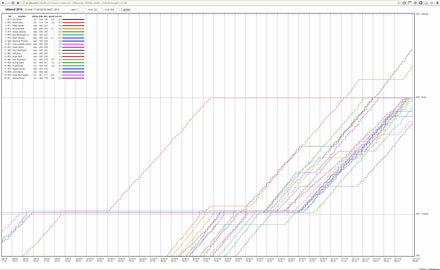 So here's the race situation as of this morning. 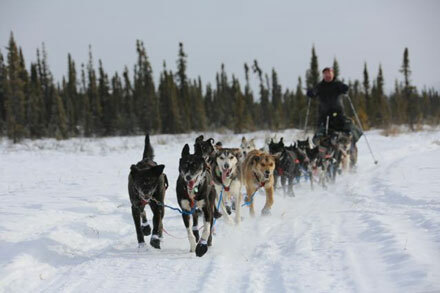 You can see Aliy is on the Yukon, mushing toward Galena, with several other teams close behind. Most of the race is still heading North through Cripple and toward Ruby. Onward!